Want to look silly like all get out, and do not mind the world laughing at you? 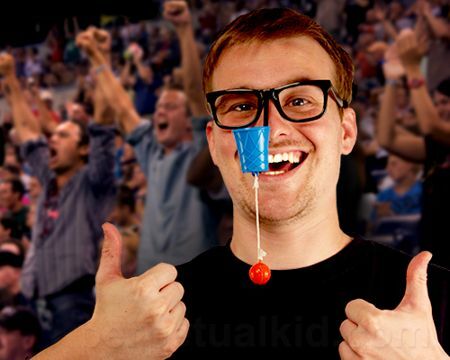 If you have answered in the affirmative, then you would be pleased to check out the crazy $3.99 Nose Aerobics Basketball. This is one zany toy that you can purchase to exercise your nose, not that you need to get that part of your body all buffed up in the first place – which makes it a purchase that is worthy to appear in our pages. The Nose Aerobics Basketball will require you to use your head as well as nose to flick the basketball up into the air, before you attempt to steer the net to the ball. Do you think that you could turn it into a spectacle that is good enough to win you a spot on America’s Got Talent?